Drawing the curtain over Halloween doesn’t mean putting an end to the festive spirit. Just like the cheerful month of October, November has something even more ‘grateful’ in store for us. The arrival of Thanksgiving brings the need to prepare a scrumptious and satisfying Thanksgiving dinner. And, even if you are invited as a guest to the grand dinner, it is always a nice idea to bring something extra to thank your hosts for having you. Give the standard boxes of chocolates and bouquet of flowers a break with these 10 lovely Thanksgiving ideas. 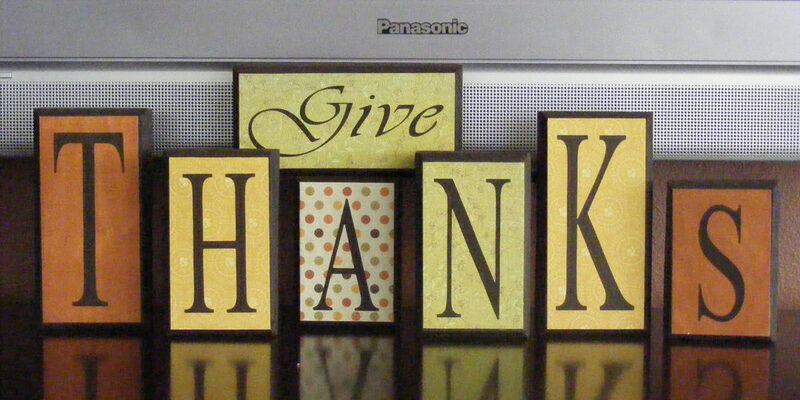 This fun set of THANKS letter blocks is the perfect way to show thanks to your host/friends. The blocks with their funky and festive look are perfect to display from Halloween to Thanksgiving. 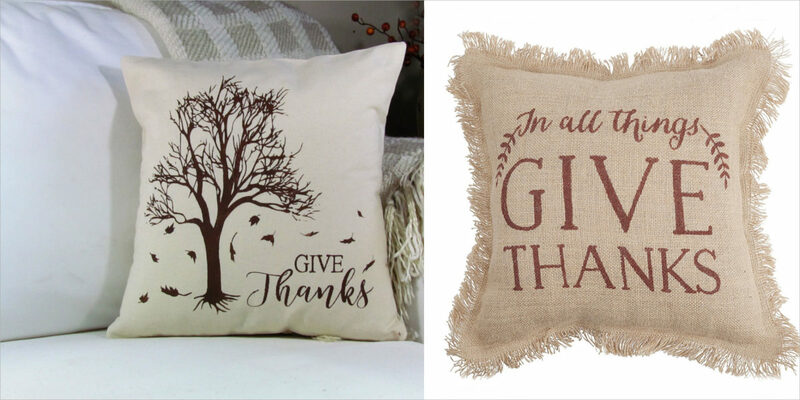 Give thanks pillow cover is one of the thoughtful gift ideas for someone who loves to decorate their space in a simple and natural way. With the standard measurement of 18 inches and modest style, the pillow cover can suit well with all styles of decor. This solar dancing turkey is definitely a funky and quirky choice for an unusual present. The turkey dances when placed in a sunny or brightly lit spot and the wings and the head of the bird flopping up and down. This seasonal and festive LEGO set is perfect for a home with kids. 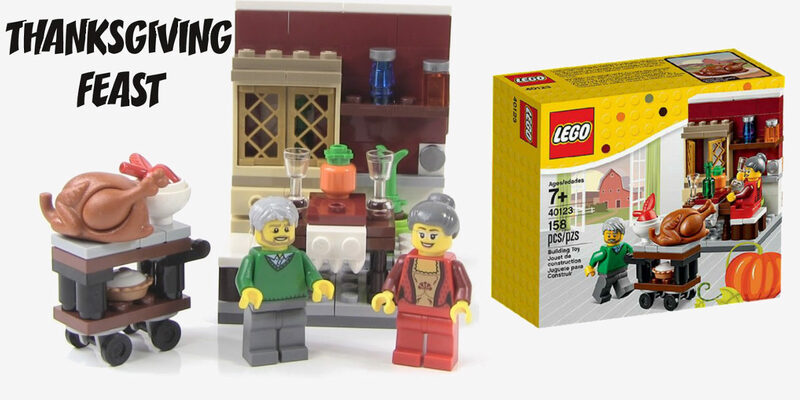 The LEGO set includes both male and female mini figures and an assorted set of accessories that are perfect to pair with the festive season. Well, it is not the kind of thing that everyone loves spending money on, but it is a great gift if you are looking for something that can be used every day. And, with chilly winters ahead, this is one present that will be surely loved and appreciated. 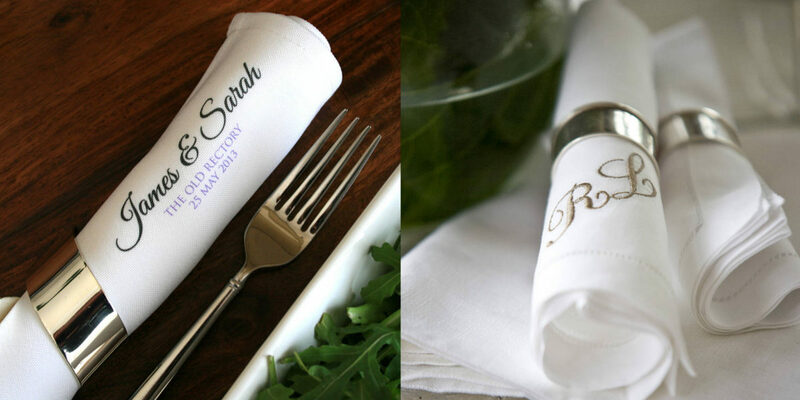 Personalised, simple and special, customised napkins with the initials of the host is definitely a great present for Thanksgiving. The present also entails the usability feature that goes way past the Thanksgiving dinner. 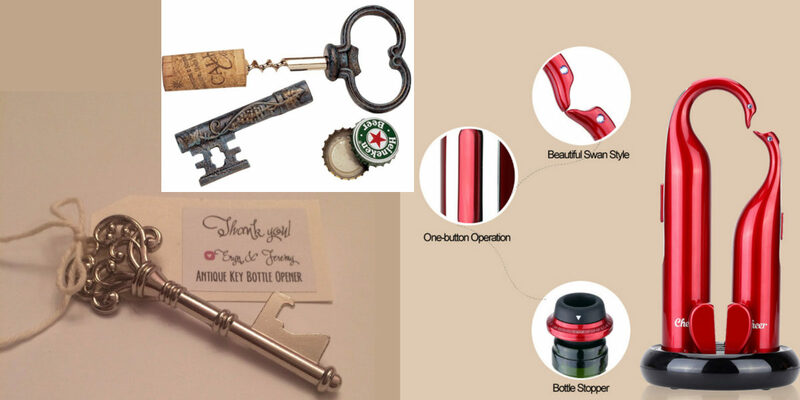 Along with a regular six pack, a festive bottle opener is a useful present to leave behind with your host this Thanksgiving. 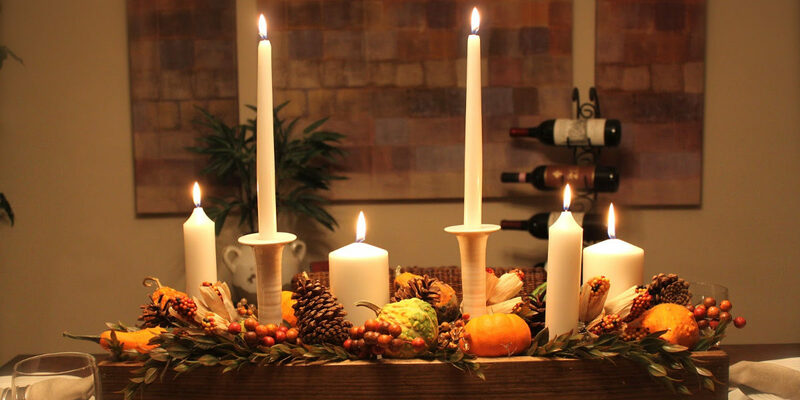 Pine pillar candles is the traditional holiday present you can give your host for an instant festive turnover. Wrapped with traditional holiday trimmings, the candles are beautiful and simply elegant to display. 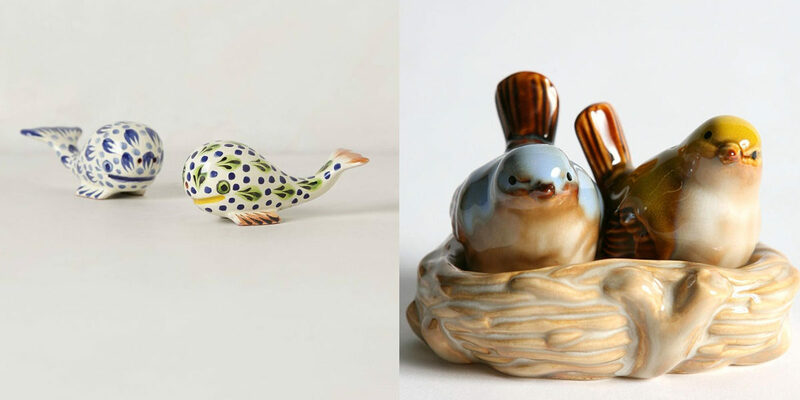 Salt and pepper shakers in the shape of gilded quails pair well with every type of decor and are a sleek present to gift your host for a minimal and a useful decorative element. 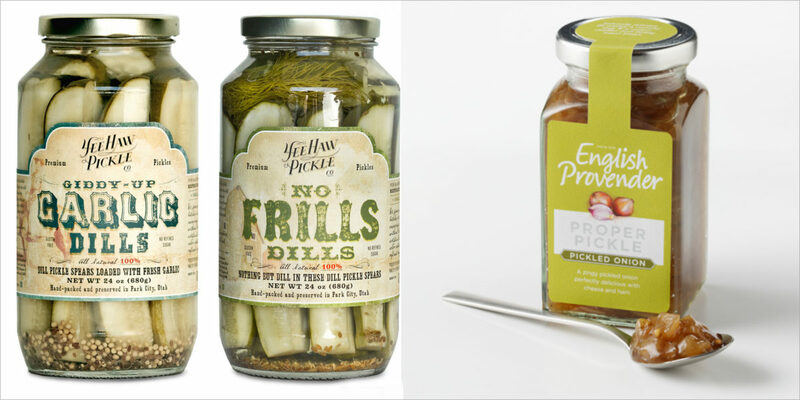 If you are visiting a pickle lover’s home, the perfect gift to present at Thanksgiving is the ideal blend of pickled spices that make up as the perfect vinegary snack. 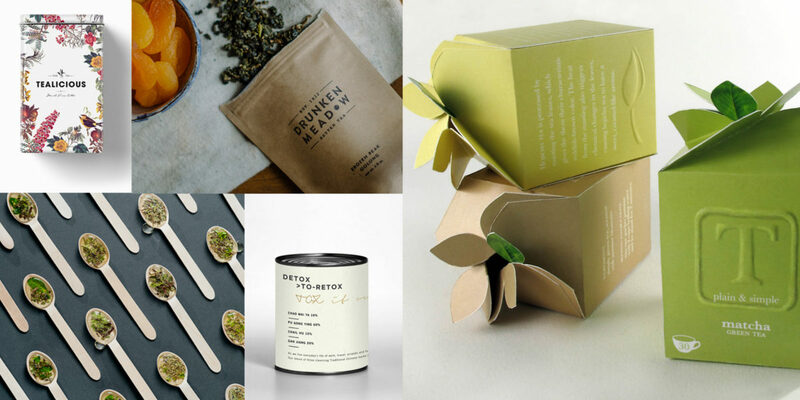 Pick the gift that suits best with the preference and the usefulness of the host.